Animals are an integral part of St. Joseph, Missouri. They are part of the livelihood of the community, which is quickly becoming one of the nation’s and the world’s leaders in animal health and agricultural science. This focus on animal health spans several decades and includes several milestones. One of St. Joseph’s longstanding animal health resources started in 1952, when Charles Evans and two veterinarians saw the need for a reliable resource for supplies and equipment for farmers. Back then, waiting for a vet could mean losing an animal. Thus, United Pharmacal Company, Inc. was created. 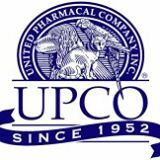 Since then, veterinarians, breeders, and pet owners have come to rely on UPCO for supplies, as well as the expertise of the staff. The company is now run by the second generation of Evans who remain committed to providing the wide selection of products, great service, and amazing prices on quality animal products. Just a few weeks ago, I received a call from a family member that I needed to stop and grab some medicine for our cats. I walked in to UPCO and saw a vast array of medicine, toys, food, and treats. Not quite sure where to even begin, my confused look hinted to an employee that I needed some help. Additionally, she gave advice on which product would do the trick, based on some facts I shared about our cats. This is just one example of the amazing customer service UPCO offers. I have observed several interactions between UPCO employees and customers, and every time it’s been amazing; it’s the kind of service that would make Charles Evans proud. Recently, UPCO has launched a website, which serves as an online catalog. This has opened greater access for pet owners, veterinarians, and farmers to find supplies and equipment. They have a Facebook page as well, so if you’re an UPCO fan, don’t forget to let them know! SJC wants to thank UPCO for being there for all types of animal lovers and supplying St. Joseph with supplies and equipment to pamper, care for, train, groom, and play with dogs, cats, horses, cows, birds, and other animals. UPCO really is “Treating Pets Like Family” and demonstrating that solid customer service goes a long, long way. This entry was posted in Monday Morning Coffee and tagged Monday Morning Coffee, pet food, pet medicine, pets products, SJC, St. Joseph, St. Joseph Missouri, Susan J. Campbell Copywriting Solutions, UPCO, veterinary medicine. Bookmark the permalink.